The Gospel reading is about John the Baptist’s disagreement with the Pharisees and Sadducees who may have come to his baptism with the pretension that characterized their other religious activities. They were showing people how ready they were for the Messiah, though they had not truly repented. John reminded the ruling class of Israel that they needed to walk the talk. John warned them to stop trusting in their Jewish heritage and Abraham’s merits because they must truly repent. 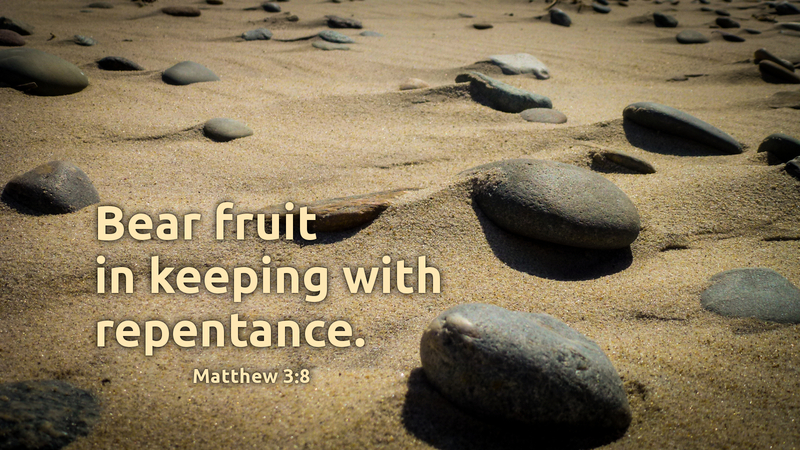 Repentance means a turnaround away from sin to walk toward God. Repentance includes an assessment of our lives in light of God’s grace and love, which come to us freely and undeserved through Christ’s death and resurrection. It is not enough to lay claim to being children of Abraham, nor is it enough just to be born and raised in the Lutheran Church—baptized, confirmed, and married. There needs to be fruit of faith, as James writes, “Faith by itself, if it does not have works, is dead” (James 2:17). We must see our works as that which is vital to carrying out what Jesus called the greatest commandment: Love the Lord your God and your neighbor as yourself (Mark 12:30-31). Today’s devotion was written by Michael Domenech, pastor of Iglesia Luterana Resurrección, Carolina, PR.